According to Audubon, Dunlin means “little dun-colored (gray-brown) bird”. It is a very common shore bird migrating about now from their breeding grounds in the Artic to coastal areas of the United States. 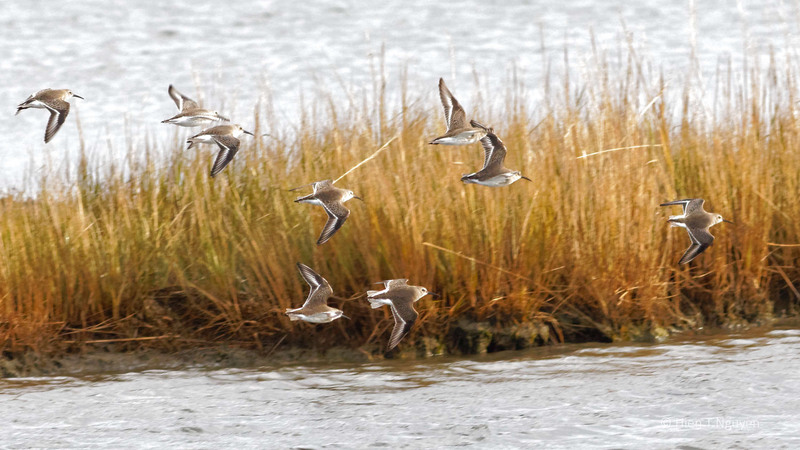 Dunlins are easily identified as they fly in groups ranging from a few dozens to hundreds or even thousands. They seem to have a way of communicating effectively with one another as they bank, turn, or climb up and dive down in perfect unison. Their flight is an amazing sight that I tried to capture in the following photos, with just a few members of a band of Dunlins. Great shot of the Dublin’s in flight! 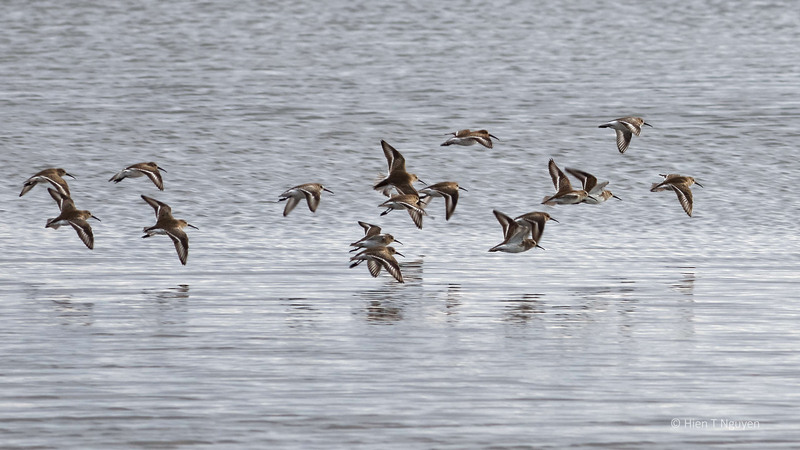 Great images of the dunlin, the dart around so much as they fly that it’s hard to keep them in the frame and in focus. One can get dizzy trying to follow these birds as they fly back and forth over the marshes. Thanks for commenting Jerry!